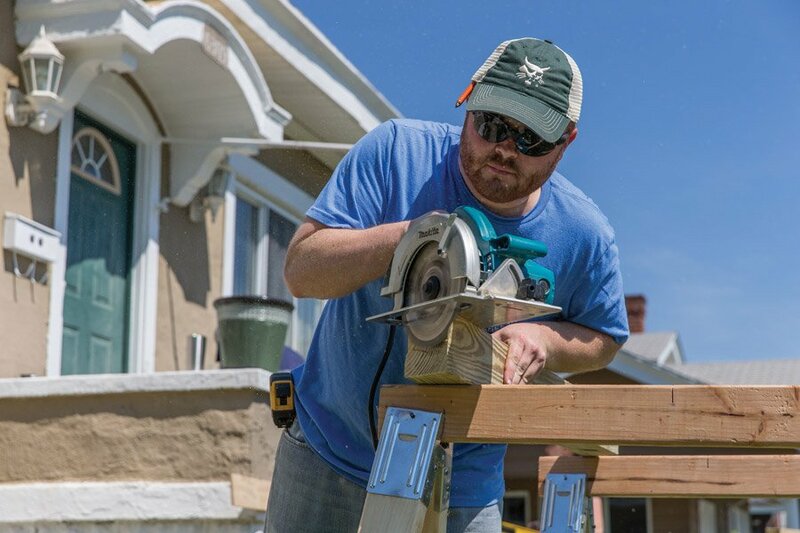 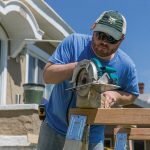 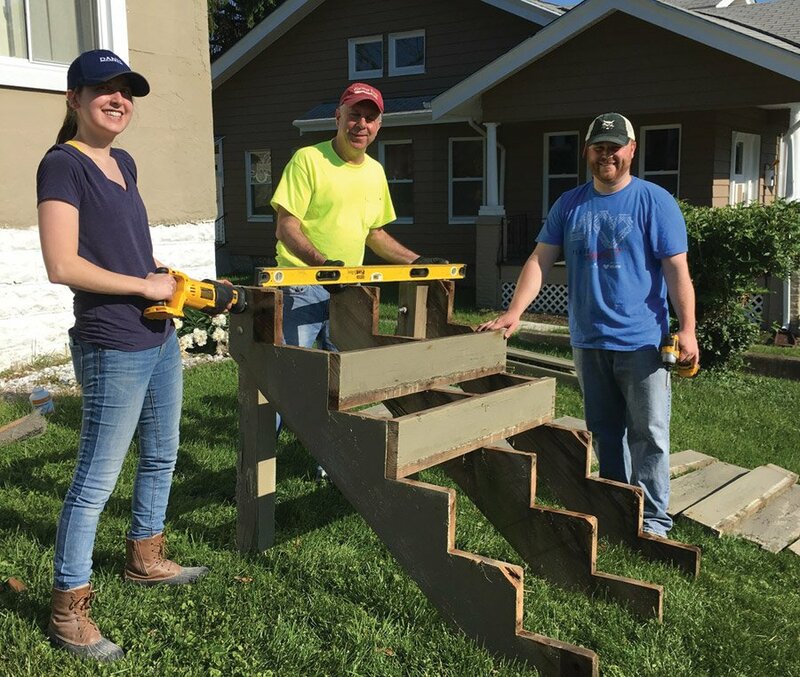 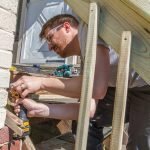 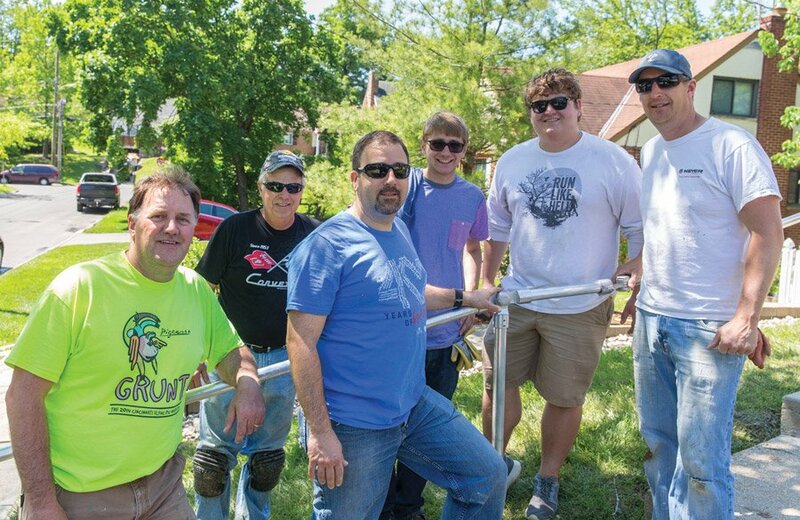 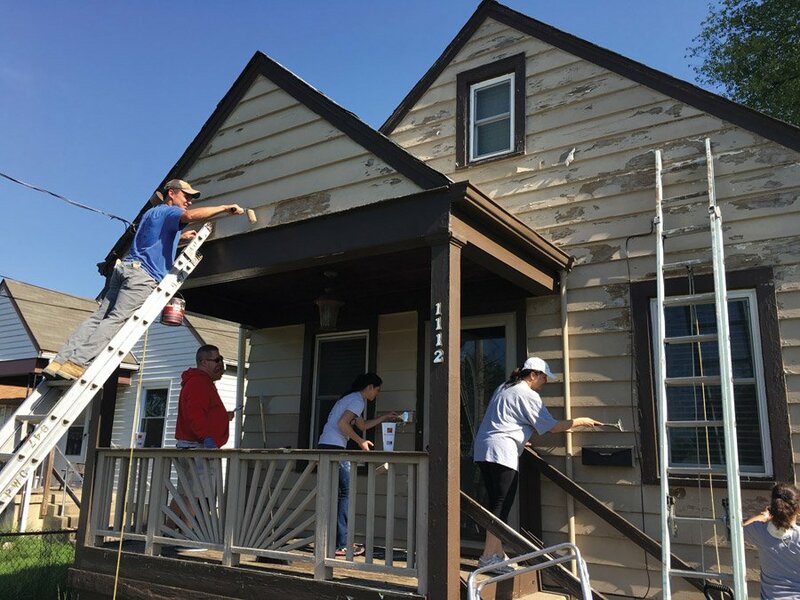 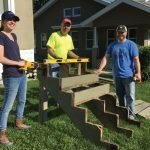 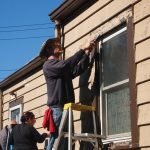 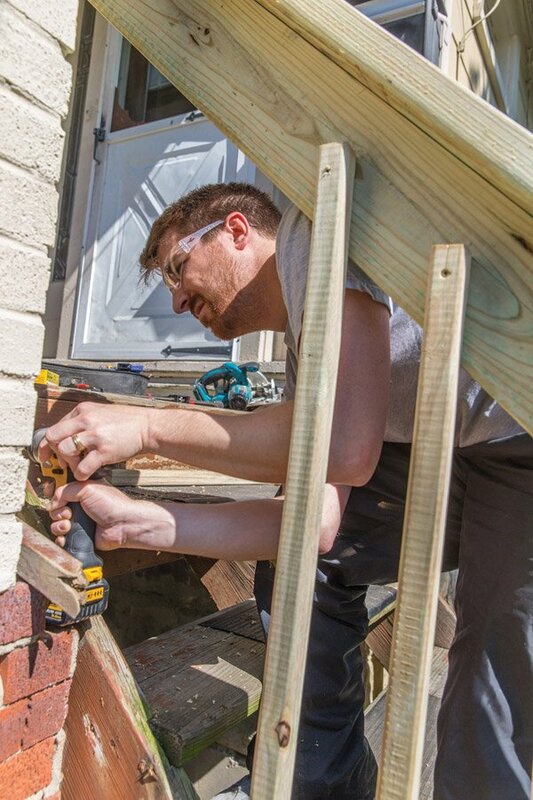 More than 400 volunteers helped make repairs on 62 homes at the 35th annual People Working Cooperatively’s Repair Affair. 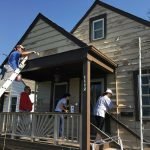 During the event, critical repairs and modification were made for low-income seniors and people with disabilities in Greater Cincinnati and Northern Kentucky. 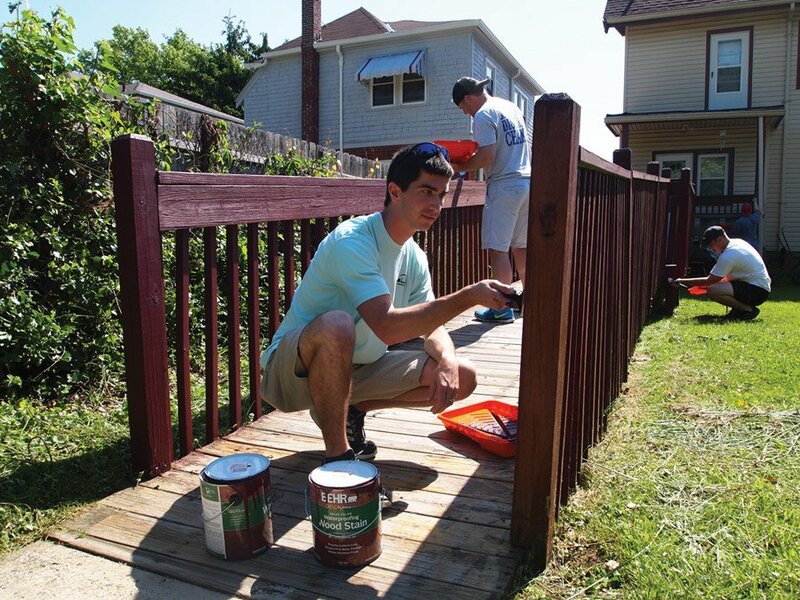 PWC’s next volunteer event is Prepare Affair, set for Nov. 11. 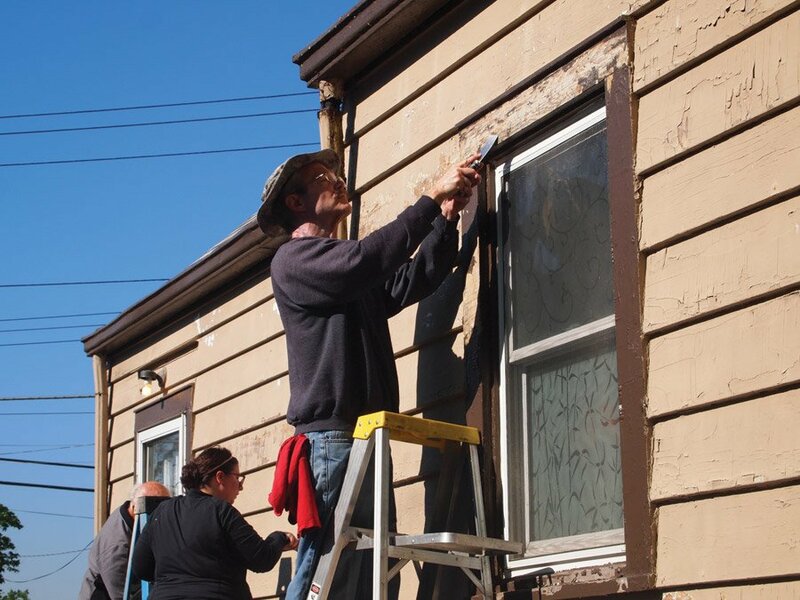 More than 2,500 volunteers will prep over 900 homes for winter. 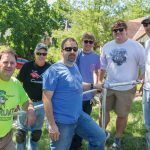 Andrew Cross, Danis Building Construction Co.
Marcus Donahue, Nathan Hall, Dustin Pierce, and Patrick Cavanaugh from Phillips Edison & Co.